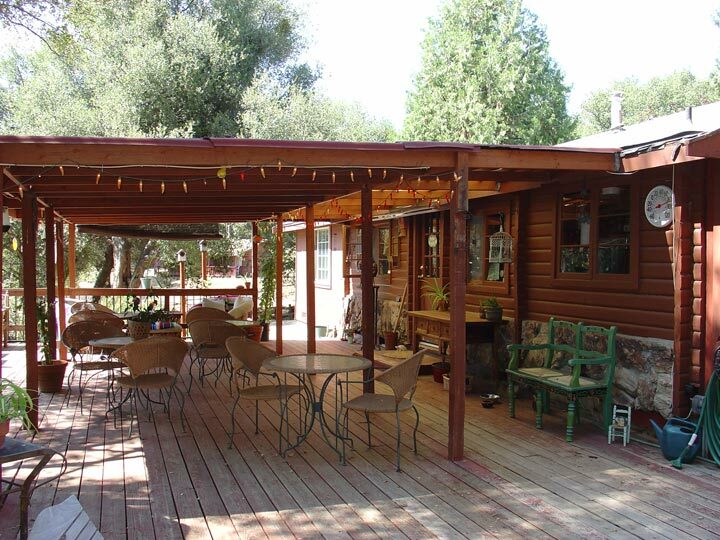 Situated on 146 acres of rolling ranch land in the heart of the Fair Play Wine Country, the 7 Up Ranch has six rooms in three cabins uniquely decorated in period Western styles. Tucked into oak-studded hills, each cabin has two separate units with private entry and bath. Put your feet up on the shady veranda right outside your front door, sip a glass of wine and enjoy our spectacular Sierra Foothill sunsets! Enjoy group campfires during the proper seasons, ping-pong and horseshoes. 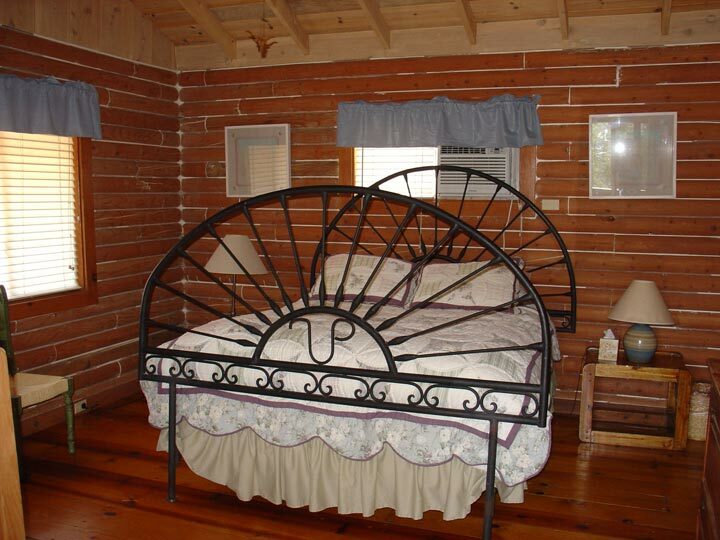 A full Country Ranch Breakfast is served in the innkeeper's main cabin or on our front deck. We serve in-house roasted coffee, and as much as possible, organic fare. 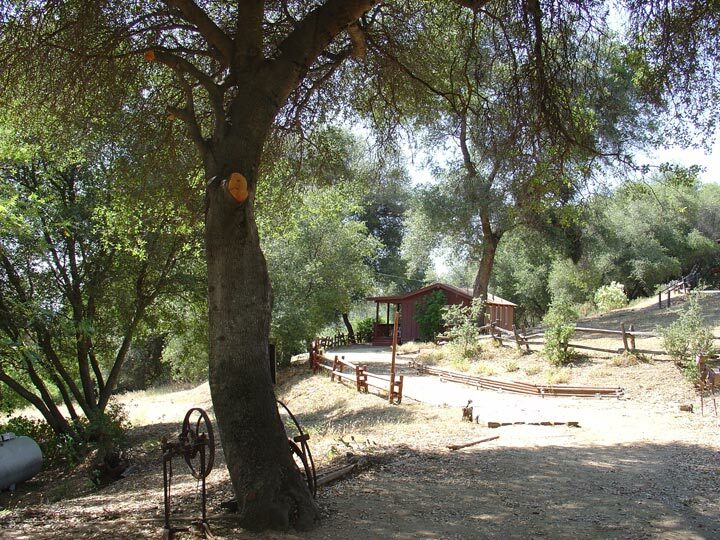 Wild life abounds on the ranch - deer, turkey, quail, raccoons, and many species of birds are permanent residents. Wildflowers are in bloom most of the year. Trails and wilderness offer interesting hiking opportunities. Spanish Creek seasonally offers rushing streams or calm pools set among moss rock and Cedar groves. Discover Snapping Turtle Pond where families of ducks live in harmony with the turtle, and gaggles of geese land during migration. Travel a little further down the trail and view the Indian Grinding rocks from many years ago. Native Americans, known as Maidu, undoubtedly inhabited the Ranch prior to the Gold Rush era. 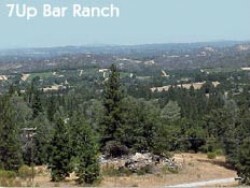 The ranch sits in the midst of over 30 world class wineries. Our hometown atmosphere will be immediately felt. Personally meet with the wine makers as you tour the beautiful vineyards, all very close by. Many events and wine maker dinners happen all through the year. We also have some exceptional dining houses in close proximity. Six guest rooms from $140 per night. NOTE: Click on images below to see large versions. NOTE: click on the red teardrop below to get driving directions with Google maps.